Call a Boca Raton Public Adjuster today! Disaster can strike your home at any time, and if your house or property has been hit, you need to call a Fort Lauderdale public adjuster to help you receive the insurance settlement you deserve. There’s no shortage of disasters which can happen to your property, including damage such as floods, fires, tornados, hurricanes or even something as simple as leaky pipes or appliances. 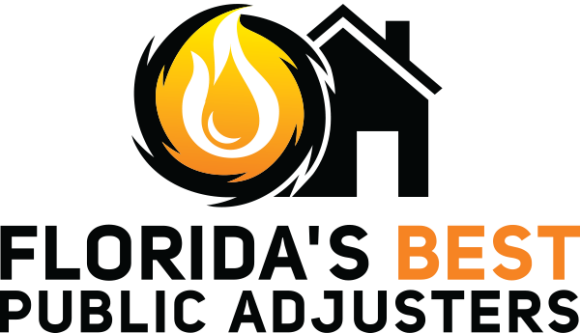 Call Florida’s Best Public Adjusters Boca Raton today and learn more. 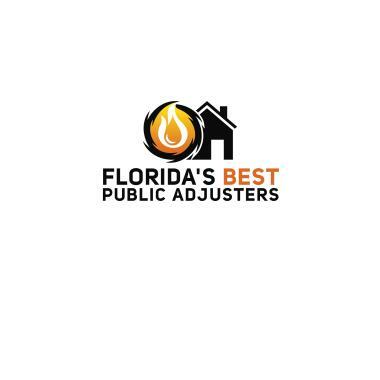 Florida’s Best Public Adjusters is wonderful! Stephen Lippy at Florida’s Best Public Adjusters helped me with my water damage from a broken pipe. Stephen did a wonderful job. I couldn’t be happy with the results. 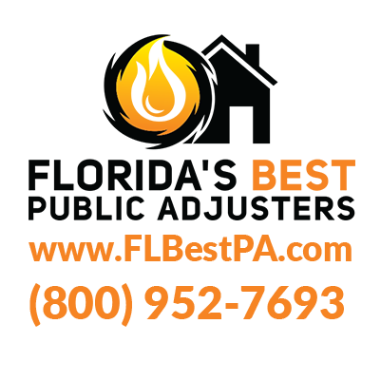 I recommend Florida’s Best Public Adjusters to everyone. Thank you ! Bulldog Associates did an excellent job in providing the support needed to get my new roof replacement from the insurance co for hurricane damage. They provided the name of an attorney that we needed to push the insurance company to approve the roof replacement. Very professional, two other adjusters from other companies decline case. Thank you Stephen Lippy for all your help with my leaking toilet and damage. Stephen was solved my problem quickly. I appreciate. Stephen was professional, experienced and extremely knowledgeable in helping obtain my Claim for damage from Irma! I could not have accomplished without his expertise! Fast, efficient, professional and a pleasure to work with. Great communications and delivered above all expectations. They did a great job of helping me make a comprehensive claim. This company was so helpful to us at a terrible time in our lives. With a very ill family member the last thing we had time for was water pouring in the house from our roof. FL Best Public Adjuster took care of everything for us and I mean everything. They had a company come protect our home, clean up and then handled everything with the claim with our insurance company. I would highly recommend them. I have only good thingsto say about your company. Your office staff are very polite and helpful. Stephen Lippy is a wonderful person and a true gentleman who really knows his business. It will be my pleasure to recommend your company to others. Stephen got five times more money than we got on our own. He and attorney that used did a great job. Very energetic and effective representation. Steve was very knowledgeable and he helped us make a comprehensive and documented presentation to our insurance company. We go a very fair settlement. Stephen was very professional and available. His team was also ready to answer my questions and respond to my needs. The whole process was totally painless. Totally trusted them every step of the way!!! Always felt they had our best interest first. Very professional and prompt service! I highly recommend their services! Stephen Lippy is creative, knowledgeable and cares. Our experience prior to Stephen coming on board, was difficult. We now have finalized our claim, very satisfied. More money after my claim was originally settled! After being rejected by our insurance co Steven did the work to get them to agree to a very nice settlement! Stephen came and he got me more money for my roof leak. It was simple and didn't cost me a cent. Stephen did a wonderful job. He was always there from the start to the finish. Could not have done this without him. Only public adjuster I would use. Stephen Lippy is the best!!! Great serrvice & personal attention. When it comes to Insurance claims, Steve Lippy is the man! Expert knowledge and advice. Great service. Stephen was amazing. Cannot thank you enough! I'm so grateful for your speedy service and excellent results! Great job thank you for all your help. you made a difficult situation painless. Florida's best got me money for my broken floor tiles. After being tonight for a falling object that broke my marble floor, Stephen got the carrier to pay policy limits. Stephen was professional, knowledgeable and very sure and we had confidence in him from the start. It was a leaky fridge but it ended up as a brand new kitchen! Steven Lippy managed the process with great professionalism. Handled two claims for me. Stephen Lippy is incredible. He is the dean of public adjusting. Two claims done with wonderful results. He got me more money and lessened the stress. An amazing public adjuster. Knowledgeable and thorough and was in total command of our slab leak under our marble floor. A pleasure to work with. Thank you Stephen. My hot water tank had a leak that completely ruined my hardwood floors. Without suing my insurance company, Stephen Lippy was able to negotiate an additional $30,000 over the $10,000 my insurance company initially offered me. Great service! So glad I put my faith in Lippy. He was awesome. Mr. Lippy was reliable, professional and most important dependable and honest. I would highly recommend him and his company to all of my friends! Helping me through the process was stressfree and assured that no detail was left alone. Bulldog Adjusters are a must use! Stephen helped me persue my insurance company and got me what I needed to properly fix my home. Stephen ensured that everything went smoothly and always communicated what was going on. I will never ever file an insurance claim again without calling these guys they saved my home! Appraisal for a slab leak. Reopen wind blown water claim.